If you're looking for an opportunity to join one of the most innovative and fastest growing investment businesses in the market, then take a look at our latest vacancies and join us on our journey. Our in-house investment team build and maintain a wide range of solutions to help financial Advisers support their clients in reaching their financial goals. We support Advisers and their clients to get the best out of our services through our multi-award winning client services team. We provide our customers with innovative and intuitive technology solutions that are built in-house by our talented development team. We launched in 2007 with just a handful of staff, housed in a room above the iconic Tramshed in Bath. In the 11 years since, we have enjoyed fantastic growth. 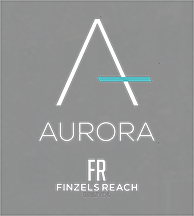 We currently house our 200+ staff in a friendly open plan office near the waterfront, in the vibrant city of Bristol. With the help of a hard-working, committed team of people we've brought to life our vision of making investment simple and accessible to all, picking up a raft of prestigious awards along the way. In 2016 we became part of Aberdeen Standard Investments, which has seen us go from strength-to-strength as a ring-fenced business in an ultracompetitive market. Our success is in no small part down to our talented team of people, which is why the continued recruitment of amazing people will play a key part in us continuing to deliver against our ambitious growth strategy. With an open plan office that's always busy, it's also an environment that brings people together to have a bit of fun during the working week. Whether it's our monthly payday drinks, quiz nights or film club events, there's always something in the calendar. Based in the heart of Bristol in modern offices by the waterfront, the diverse city centre is right on our doorstep. You'll often see staff enjoying a lunchtime walk around the harbour or indulging at one of the many restaurants or food markets the centre of Bristol has to offer. We actively promote a culture of wellbeing and having an enjoyable working environment, where everyone has access to the tools they need to thrive is important to us. Whether it's your physical wellbeing through a subsidised gym membership and health cover for your family, or our focus on your long-term financial wellbeing with our 20% pension contribution, we make sure you're looked after. We know that the key to continued success is through constantly evolving our offer to both Advisers and their clients. Our people are critical in making this a reality and that's why we make sure they receive the necessary support and opportunities to develop their skills and career with us. As a forward thinking company in a complex marketplace, we know we can make a real difference to peoples' lives with our work. This is why our award-winning service culture and approach to innovation are in the DNA of our business and is something we are all proud of. Our growing agile delivery teams use a combination of tried and tested practices and emerging technologies to stay at the forefront of the market. Responding to industry change, methodology and technology, we collaborate across the board to refine and improve our offer and our business giving our customers a service that exceeds their expectations. A new dawn is upon us, with our move to the brand new development at Aurora complete. The complex is a state of the art, environmentally friendly office building within the Finzels Reach development. Situated in the heart of Bristol, the new office is in a great central location just a 10 minute walk to Temple Meads station and around 5 minutes to Cabot Circus. The site has achieved the BREEAM 'Outstanding' award for sustainability and also holds a LEED Gold standard in environmental design. We're a rapidly growing business with our eyes firmly set on continued growth, so we�re always on the look out for new talent to help us achieve our ambitious plans. If you�d like to join us on this exciting journey please take a look at our latest vacancies. If you're interested in working with us or have any questions regarding upcoming vacancies, please send us an email with an attached CV and we will be in touch. © Parmenion Capital Partners LLP/Registered in England & Wales OC322243. Authorised & Regulated by the Financial Conduct Authority. FCA Number 462085. Wholly owned subsidiary of Aberdeen Asset Management PLC and Aberdeen Investments Limited.